We tried out a new range this weekend. Tactical Edge. They don't have a website, but they do have a nice store and range. And the best part: they don't require range ammo. So me and Rob walked in with our WalMart 9 mm. 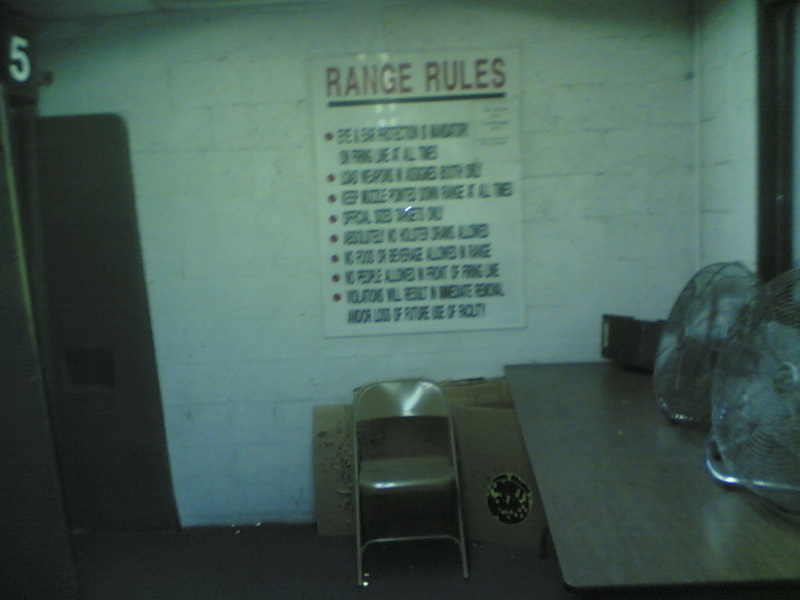 I did have to buy another box, and we got some targets there, so it wasn't like we just paid for the range time. 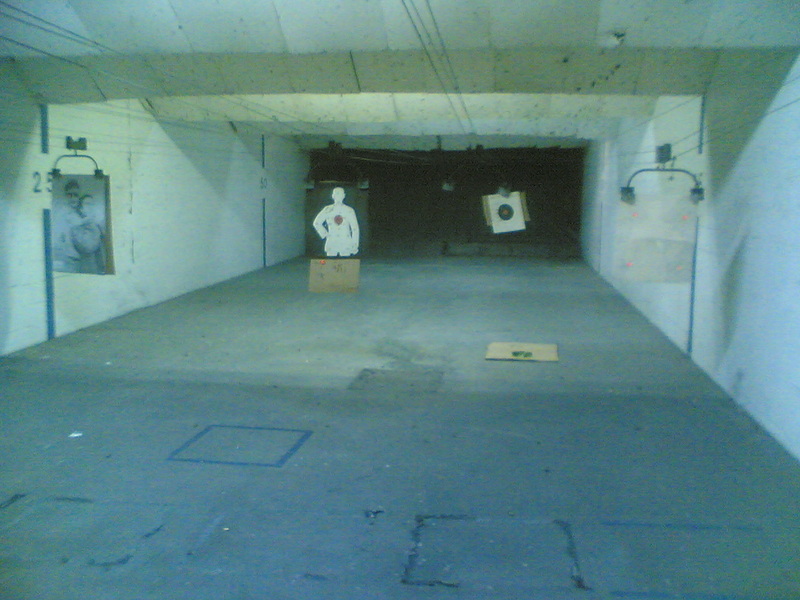 It wasn't crowded, the counter people were nice, and the range itself was like every other indoor range. It had fans instead of (or maybe in addition to) AC, but it was comfortable. 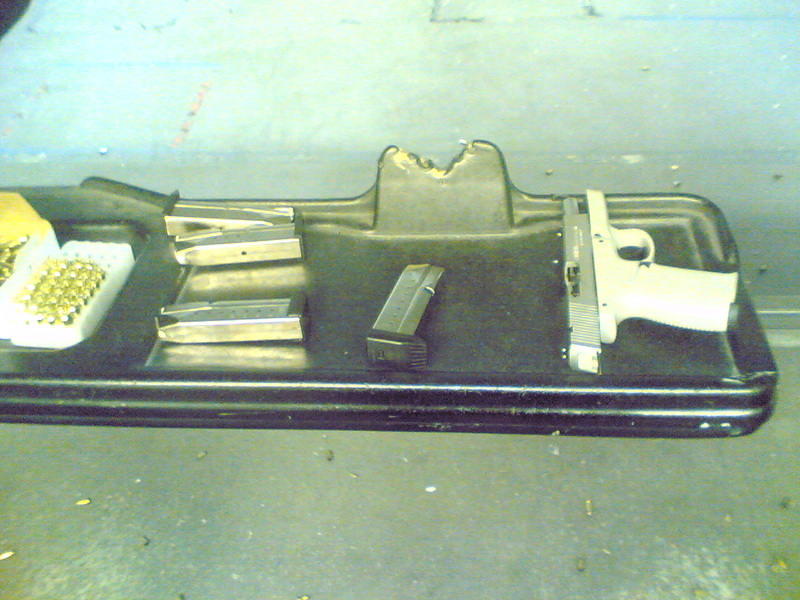 I brought the S&W Sigma again, and Rob had gotten the Browning back from the shop. 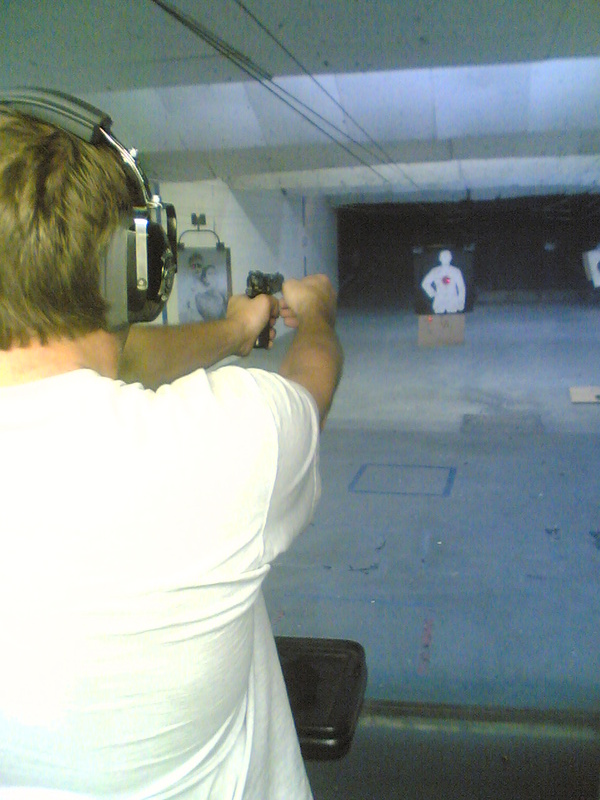 If you look closely at the middle of the target in the third photo you can see his bright red laser dot. 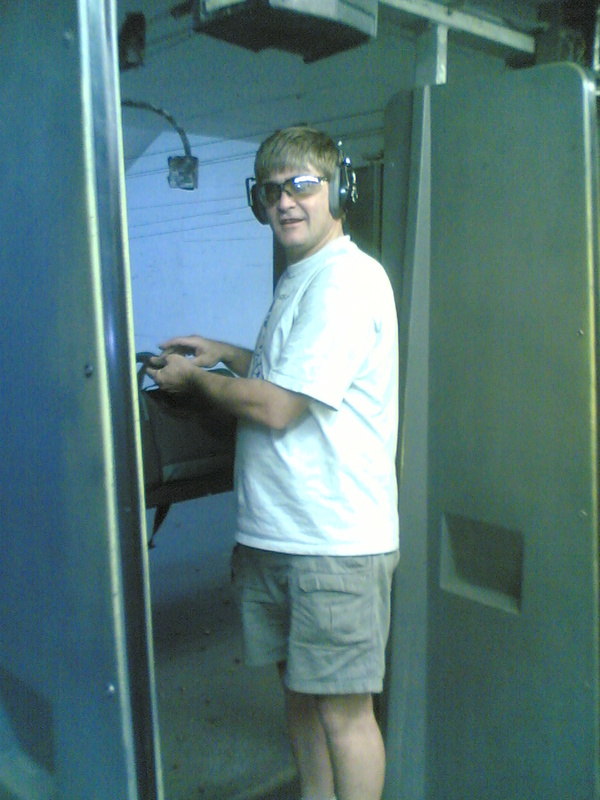 I was happy with my shooting because I kept most of my shots in the black on a 25 foot pistol target. 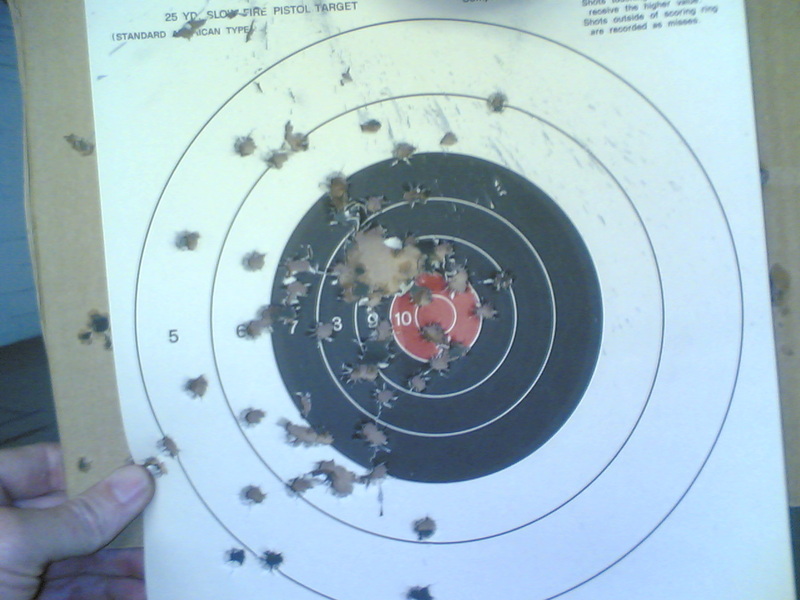 Then I looked a little closer, and saw that it was a 25 YARD target, that I had put 25 feet away. Now I have something to strive for next time.